After recent changes in regulation from the Argentine central bank allowing ATMs to placed at non-banking entities, Odyssey Group is entering the market with an initial rollout of 4,000 ATMs. Continued deployment should see up to 5,000 ATMs within two years, but the Central Bank is citing an end goal of 30,000 ATMs throughout the country. The country has already witnessed the installation of 200 ATMs as of 2017, but it seems Odysseys are doubling down in the Argentine market. According to their website, 90 percent of investors are from Argentina, with the rest coming from Mexico and Brazil. Businesses installing these machines can expect to pay approximately $10,000 per machine, as equipment cost is $8,000 plus VAT per machine, with an additional $1,000-$1,500 for installation fees. A unique feature of Odyssey is that the working capital for ATMs can be handled by the company, or you can charge each trade transaction. Opting this method means taking out insurance, however. How fast ATM owners see a return on their investment will depend on the rate per transaction, which is negotiated with Odysseys on a case by case basis. However, estimates show average return on investment (ROI) times at five or six months, meaning owners could already be seeing a profit within the first year of installation. The fast turn around times is attributed to the high transaction volumes tellers currently have in Argentina, with around ten thousand transactions being conducted on a monthly basis. Note these numbers are likely to decrease as more supply of ATMs flood the market. 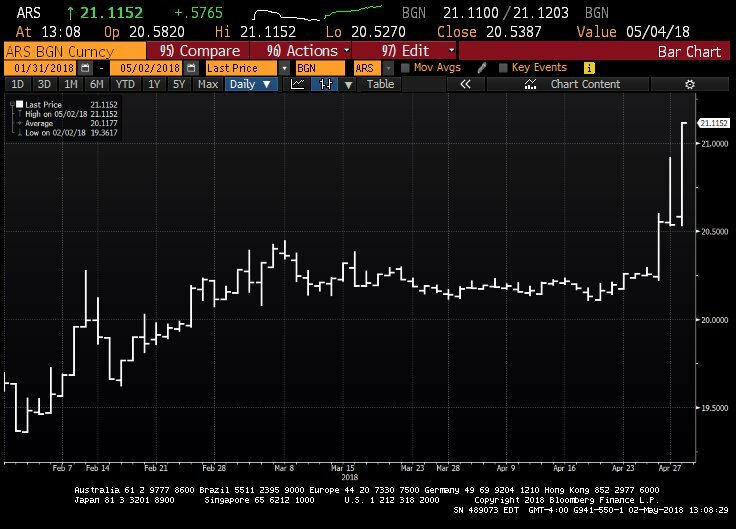 The news comes at a time when the Argentine peso is going through a crisis, with the national currency depreciating against the dollar more than two percent on May 2, 2018, even after central bank intervention. In times of crisis, people tend to focus more heavily on other assets like commodities, which makes this a perfect time for bitcoin and other cryptocurrencies to be introduced into the market. Besides offering traditional ATM services, the ATMs are also cryptocurrency compatible and bi-directional, allowing users to buy or sell bitcoin, litecoin, and ether.